Get tickets for the BMA's ticketed exhibitions. Join United States Marine Corps veteran Hans Palmer, 2nd Battalion, 5th Marines and BMA Manager of Tour Experiences Suzy Wolffe for an informal gallery talk within the ticketed exhibition, Monsters & Myths: Surrealism and War in the 1930s and 1940s. 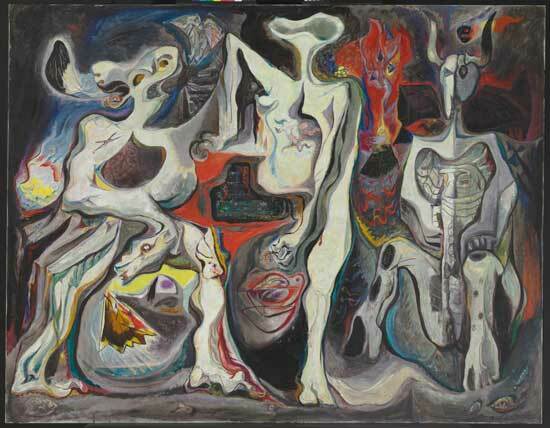 The two will lead a conversation on the powerful ways in which Surrealist artists’ responses to the horrors of war in the 1930s and 1940s speak to veterans today. Hans Palmer served in the United States Marine Corps from 2003 to 2007. He fought in Iraq twice; was stationed at Camp Pendleton in California; and was part of a Marine expeditionary unit that served in southeast Asia, where he helped train foreign military members. He currently works in the Veteran Services office at Frederick Community College. Please note: Discussions of war may be graphic.